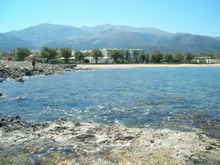 We have the pleasure of welcoming you to the new website of our REAL ESTATE business here in Crete-Greece. With nearly fourty years experience in the field, in three European countries (The U.K., Greece, and Cyprus); we offer an unparalleled service when it comes to finding or building your ideal mediteranean home! We are a family business, and take pride in working with local architects and craftsmen to offer traditional charm to our projects without compromising on quality and service.Melissa, our daughter, currently at Sorbonne University doing her PhD, helps considerably our business in vary many different ways. 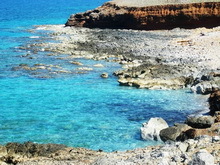 We have specialized for decades in building newor renovating old stone homes, most recently in the north east area of Crete which, with its as yet unspoiled landscapes, offers the opportunity to invest in beautiful mediteranean beach or mountain locations, at very reasonable prices. 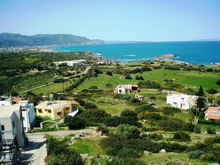 We also offer tourist complexes, villas, old and new houses, olive-groves, and land plots. Please do not hesitate to contact us if you are interested in or have any questions about our business and its services. Our work does not finish when a sale has been made! We are experts in following up overseas investment, and are glad to help with matters such as Legal representation, transfer of funds from abroad, renting or maintaining existing properties, etc. MALIA – SANTA BARBARA – SISI – MILATOS – KOUNALI – TSAMBI - AGIOS ANTONIOS – ANOGIA – SHINIAS - KATO SELLES – VRUHAS – HAVGAS – PLAKA – ELOUNDA – AGIOS NIKOLAOS – KALO CHORIO – IERAPETRA - ETC.